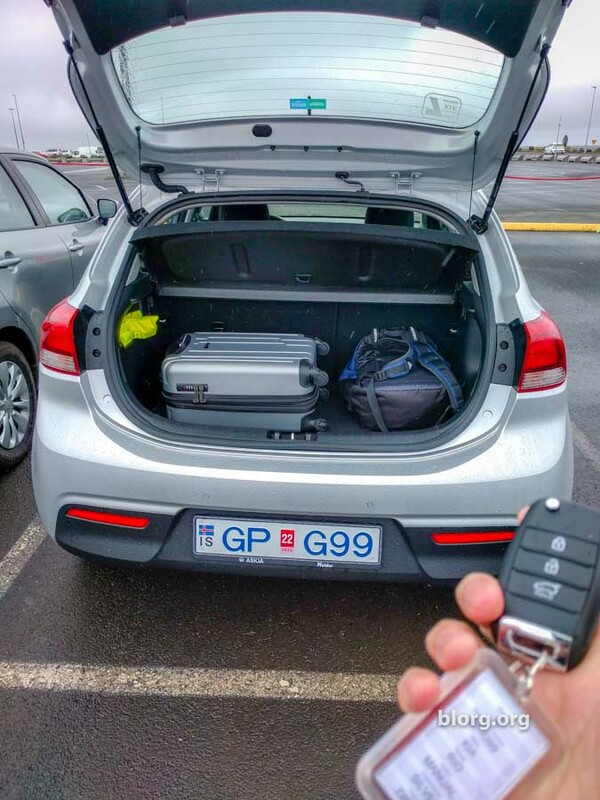 If you’re licensed in the US to drive a vehicle, you can drive in Iceland without any additional paperwork. It seems crazy but you can. Even if you have no idea what the street signs mean and and how “roundabouts” work, you can legally drive a car in Iceland. You got $70? Then you can rent a car in Iceland. An International Driver’s license is not required for US drivers in Iceland. You just “need” a driver’s license. After landing from my Wow Air flight, I proceeded through immigration and into the terminal to the rent-a-car area. After checking my pockets, I soon realized I forgot my license in the US. I explained to the car rental facility that I forgot my license but had a photo of it. He said he’d still let me rent the car but if I get pulled over without a physical license in Iceland it would be a $700 fine. No problem, I just won’t get caught. Luckily, this wasn’t my first time driving in Iceland. After an extensive internet search, the cheapest I could rent the car for one day was $65USD. That’s pretty high. Hostels in the city were about $70/night. I have a 6am flight and the city is an hour away from the airport. Solution? Bam! Mobile hostel. I’ll just sleep in the car. Most of the rental cars in Iceland have a manual transmission. Be prepared to drive stick shift. When I first got in the rental car, it wasn’t starting. I was about to complain to the rental company that the car wasn’t working but then remembered you have to press the clutch down to start the car when it’s a manual transmission. I’m glad I remembered before looking like an idiot. FYI: The last time I drove a car with a manual transmission was 4 years ago. The next thing is roundabouts. These are used as intersections without any streetlights. It’s pretty efficient. Lastly, the streetlights. They use the standard 3 colors: Red, Yellow and Green, but there’s one twist. When a light is red, just before it switches to green, the street light will display yellow and red at the same time. It’s nice warning to the people to “get ready” to start driving. I had no idea where to go and mostly hung out in locations between the airport and Reykjavik. If you have enough time to take a road trip, I’d recommend checking out Mona Corona’s Iceland: Off the Beaten Path Guide. I hate driving, but I do like the challenge of driving in a different country. Iceland was pretty easy since there’s not too much traffic so the risk of a car accident is low. The most challenging experience for me was in Japan. Since they drive on the left side of the road, everything is reversed. TLDR; If you have a U.S. license, you don’t even need an international license to drive in Iceland. You don’t even need to have your license with you. If you’re looking for a full guide on renting cars abroad, check out Universo Viajero’s 12 tips!